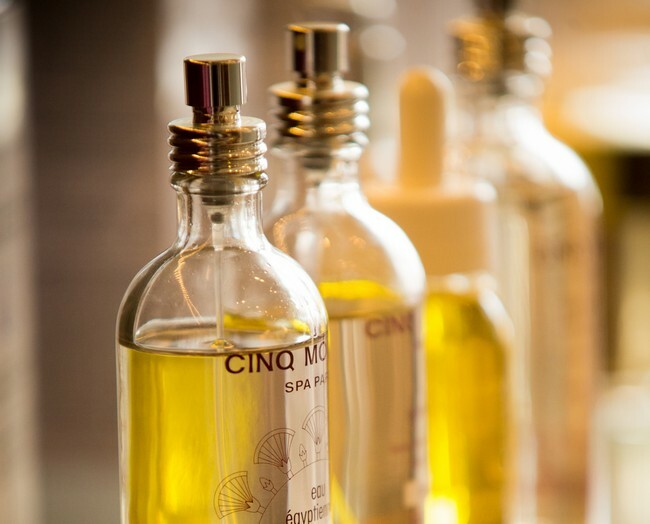 Cinq Mondes Spa Paris features the most authentic beauty rituals of the world. Each ritual embodies an authentic mending treatment ceremony, executed in its traditional heritage. The spa’s interiors have a Zen design aesthetic, with a healing colors suite, Hammam Casablanca, Hammam 5 Seasons, a hair studio and face & body treatment rooms. Spa services include massage; body treatments; hydrotherapy; aesthetic facial care; makeup application (including bridal services); waxing; eyelash extensions and more. A comprehensive line of Cinq Mondes products are available for purchase.